Shawn Van Dyke has taken the core concepts of the Profit First methodology, created by Mike Michalowicz, and customized them to address the specific needs of the construction industry. 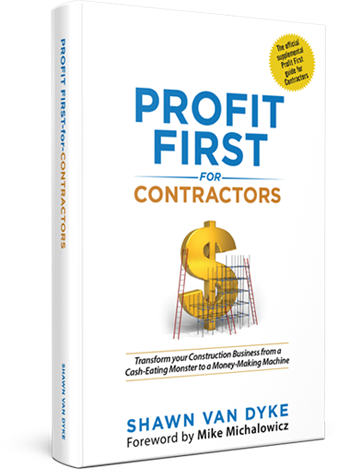 Profit First for Contractors addresses the major struggles contractors face and provides clear and actionable guidance on how to overcome them. Shawn shows contractors how to go from simply getting by to becoming permanently profitable. This book is for every contractor who dreams of prosperity. "Contracting has been in my family for four generations and it FINALLY makes sense financially. Shawn's coaching combined with Profit First have allowed us to pay our taxes with ease without trying to find the money. We are really excited because we are hitting our sales goals for the first time ever and taking the family on a vacation. I can't tell you how much everything you've walked us through means to our family and business." "Shawn is a genius when it comes to dissecting a business and answering the question 'Why are you in business?'. The Profit First for Contractors system lays out a perfect, easy to follow formula that works and is easy to implement." "Before Profit First for Contractors, I was running my business like some sort of missionary trying to serve the greater good. After Profit First and Shawn's coaching, I now understand the importance and necessity of putting my profits first so I can build a healthy business. If profits don't come first, I cannot do the work that I love." "Take the grind out of business and start being profitable today! Profit First for Contractors and Shawn's coaching made me take a close look at my business, my team, and myself which is exactly what I needed to help us get to the next level." "Before using Profit First for Contractors, we were nearly $60,000 in debt. Now, we have money in the bank and I am able to take my wife on our first vacation in 11 years. Profit First and Shawn's coaching has taught me how to build a construction business that will take care of our family, our employees and finally make a profit." "It's insane what happens when you truly start to understand the numbers. 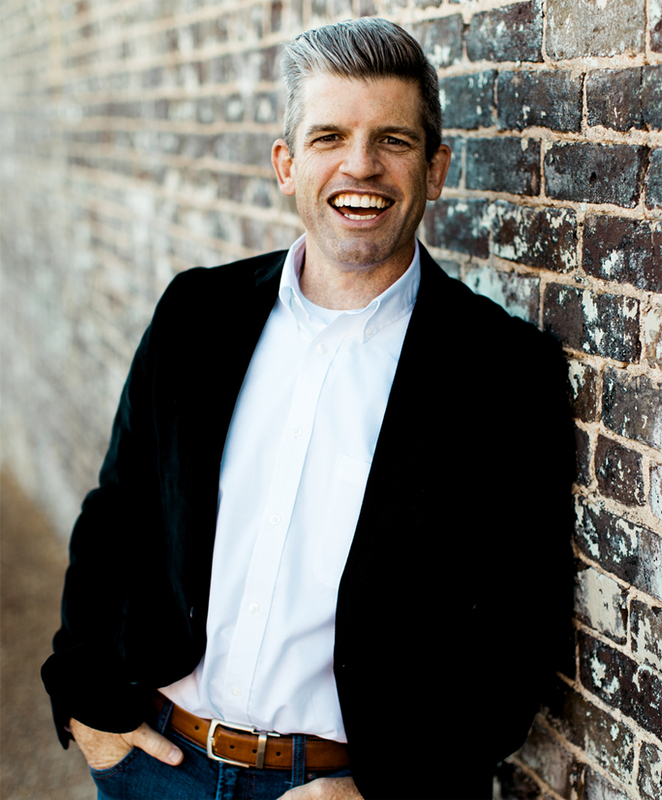 Profit First for Contractors and Shawn's guidance through it all generated a 20x ROI. We have seen a 60% increase in our profits alone." Sign up for additional resources to increase your profits and streamline your construction business. Sign up to become permanently profitable today! 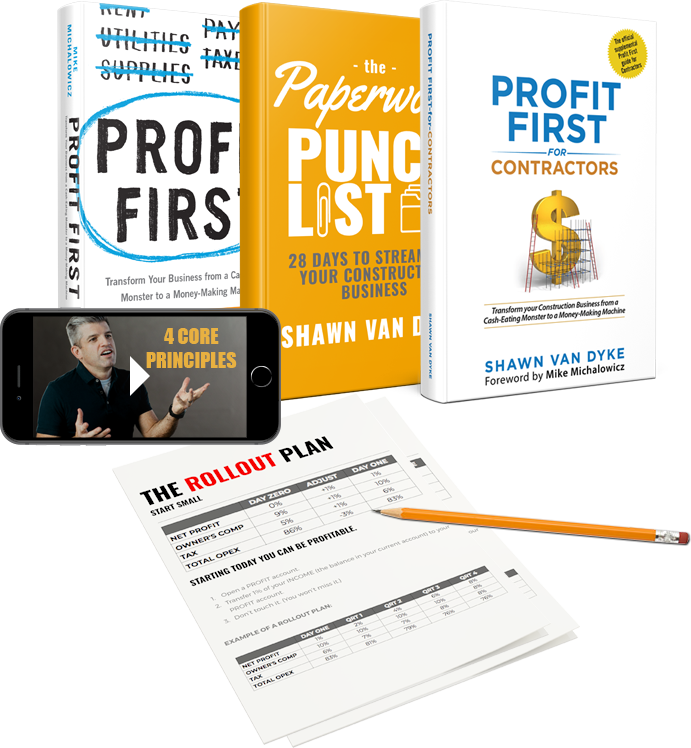 Shawn Van Dyke has owned and operated construction businesses for over 20 years and is the author of Profit First for Contractors and The Paperwork Punch List: 28 Days to Streamline Your Construction Business. As a construction business coach and featured speaker at national venues, he is on a mission to change the way the world views the trades. Copyright © Shawn Van Dyke. All rights reserved.